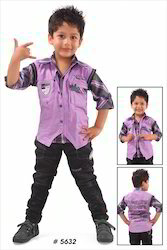 Our product range includes a wide range of 3 piece kids baba suit, kids cotton baba suit, boys dress suit, kids printed baba suit, kids full length suit and kids checked baba suit. 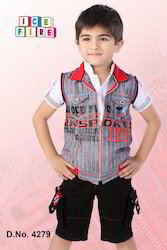 Available with us is an exclusive collection of Boys Dress Suit that is stitched and supplied under the brand name 'Pearls Creation'. We ensure that the vendors tailor these shorts using premium quality fabric that proves comfortable for the wearer. 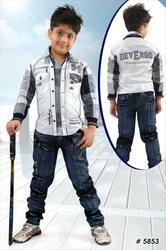 Further, we benefit the clients by offering these in an array of different sizes and colors. 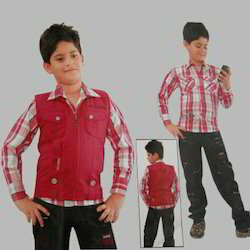 Offered by us is a fabulous range of Kids Full Length Suit (Billy Boy) that provides excellent comfort to the wearer. These shorts are sourced from the leading vendors of the industry, who make use of finest quality fabric in tailoring the array. Besides, our efficient tailors offer excellent options on these shorts in terms of their sizes and colors, suitable to the clients. 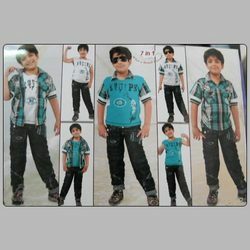 Looking for Kids Suit ?